Graco – Worldwide Leaders In Fluid Handling. Graco products provide state-of-the-art fluid handling equipment for users around the world. We have a very intimate knowledge of Graco products and are able to fit your needs with the proper equipment based on the fluids you are handling and the variables involved. Kimray – Energy-exchange glycol pumps. 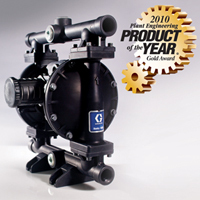 Kimray Glycol Pumps are time tested and proven to be very effective in gas dehydration. They come in all sizes and can be selected in “PV” or “SC” configurations to meet your needs.